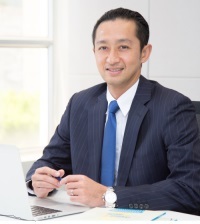 HONG KONG, Apr 12, 2019 - (ACN Newswire) - Mr. Kiyotaka Ando, Executive Director, Chairman of the Board and Chief Executive Officer of Nissin Foods Company Limited (the "Company", and together with its subsidiaries, the "Group"; Stock code: 1475) has been appointed by the Food and Health Bureau of the HKSAR as a non-official member of the Committee on Reduction of Salt and Sugar in Food ("the Committee"), effective from 15 April 2019 to 14 March 2021. The Committee has been advising the Food and Health Bureau on relevant initiatives which encourage Hong Kong people to reduce salt and sugar intake. It is responsible for steering the direction of and coordinating works including assessing and monitoring the local situation, deciding priority areas to tackle and related targets as well as devising promotion and public education strategy. It also has the task of formulating the Action Plans for Salt and Sugar Reduction in Food in Hong Kong and overseeing the rollout of the plans and evaluating their effectiveness. Mr. Kiyotaka Ando said, "Hong Kong is my second home and it is my great pleasure to be appointed as a member of the Committee on Reduction of Salt and Sugar in Food to serve the local community. As Nissin Foods always aims to provide tasty, healthy and quality food to the public, looking forward, we will continue to enhance our product features with an innovative spirit, in order to promote healthy lifestyle and eating habits among the public." In addition, the Company has been developing various types of new products, such as non-fried instant noodles and frozen Japanese Udon, as well as introducing granola and vegetable & fruit beverage products to give consumers more convenience and food choices. The Company will continue to deliver excellent quality and healthy products to delight and surprise the palates and enrich the lives of consumers. Nissin Foods Company Limited (The "Group"; Stock code: 1475) is a renowned food company in Hong Kong and the PRC with a diversified portfolio of well-known and highly popular brands and the largest instant noodle company in Hong Kong. The Group officially established its presence in Hong Kong in 1984. The Group primarily manufactures and sells instant noodles, frozen foods and other food products under its two core corporate brands, namely "NISSIN" and "DOLL" together with a diversified portfolio of iconic household premium food brands. The Group's five flagship product brands, namely "Cup Noodles", "Demae Iccho", "Doll Instant Noodle", "Doll Dim Sum" and "Fuku" are also among the most popular choices in their respective food product categories in Hong Kong. In the PRC market, the Group has introduced technology innovation in "ECO Cup" concept into the market and primarily focuses its sales efforts in first and second tier cities located in eastern and southern parts of the PRC. For more information, please visit www.nissingroup.com.hk.